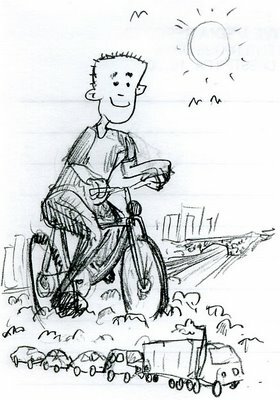 jd said… This week marks my officially becoming a bicycle commuter – and I feel good about it – a doodle to celebrate would be fantastic. Glad you get to rise above all the congestion on your daily commute. enjoy it — but wear a helmet! 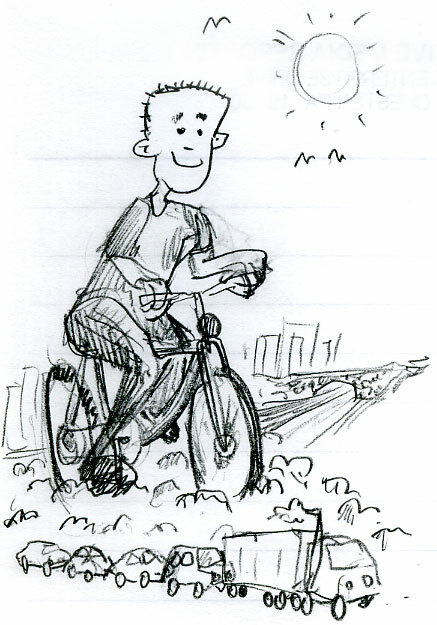 This entry was posted in bicycle, bike, commute, doodles, requests, traffic. Bookmark the permalink.